If you are interested in trading, you have invested some time and money and already have made some transaction but no success then a good idea for you is to use a forex trading journal in order to keep your trades and thus turn your success around. Forex trading journals help you track all your trades and any reasons and results associated with them. This way you can find all winning and losing patterns. This is the best way to find what was on your mind when you made a winning trade or a losing one. Forex trading journals are quite easy to create and maintain, you just have to use Microsoft Excel or any other document that allows you to create tables. 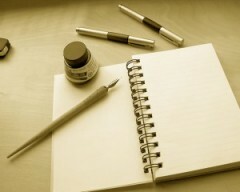 If you want to see any pattern then you must keep your journal for at least three or four months. After this period you will start seeing trading and losing patterns. The trading journal will tell you everything about your trades, if you made the trades for a good reason, if you made trades just because you were bored, etc. All traders make some common trading mistakes when they learn about forex trading, this is a true rule. If you don’t want to make mistakes for a long period of time then you must find a way to find out what triggers your mistakes and what triggers your wins. This way you can deal the problem sooner and thus avoid losing money. Most people who try learning about forex trading are somehow frustrated because there is no clear path to success and most of them loose a lot of money in their quest for glory and richness. The forex trading principle is quite simple: you have to buy at a low price and sell at a high one. Implementing this principle is quite hard actually, since you cannot tell when the price is at its lowest point or when it is at its highest point. A forex trading journal will certainly help but won’t solve your biggest problems. It will help you see the patterns, but fixing them is entirely your problem. Finding and fixing your shortfalls is the key to success in forex trading. Even if keeping all these record might seem silly, after a while you will discover that there are some patterns you never considered to exist. You must consider you trading journal an investment, only this way you will increase your success rates. Failure is not a popular word among forex traders. This society tries to teach us to avoid making mistakes because all mistakes are bad. Actually making some mistakes is not the end of the world, because you can learn a lot from them and thus improve your success rates. Of course, you must analyze all your mistakes and take the necessary actions in order to avoid making them again. Forex trading is quite similar. You cannot avoid making some mistakes, is natural. But you must have the strength to rise and analyze your mistakes in order to find the necessary solution. Even if you made some big mistake and you lost a lot of money you still have to continue and find a solution. This is the only key to success. In a trading journal you should write details on both good and bad trades and any analysis available and all questions you may have like: why did you make that transaction, what reasons are behind your decision, etc. You won’t find only good trades. Every single trade can become good or bad, but it is important that in the end you will have some profit. This can be done by limiting the number of bad trades, thus by keeping a track of every decision made during that period. Forex trading journal also keeps you disciplined and organized. Of course is easy to tell and harder to actually make it a reality since you, as any other trader, will be influenced by anger, pride, revenge, greed, etc.